GSAT-29 is an Indian geostationary communications satellite. GSAT-29 is configured around ISRO’s Enhanced I-3K Bus and will be the payload for second developmental flight of GSLV Mk.3 (2). It carries Ka × Ku multi-beam and optical communication payloads for the first time. The mission targets for Village Resource Centres (VRC) in rural areas to bridge the digital divide. It also carries a Q/V Band communication payload and the GHRC (GEO High Resolution Camera) hi-res camera with telescope. 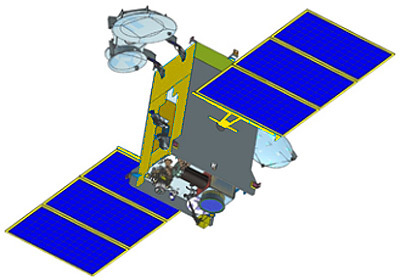 The satellite will be launched in 2018 on the second orbital development flight of the GSLV Mk.3 (2) launch vehicle.